I used to live dangerously close to a grocery store with an in-store bakery and they made the best yogurt cakes. 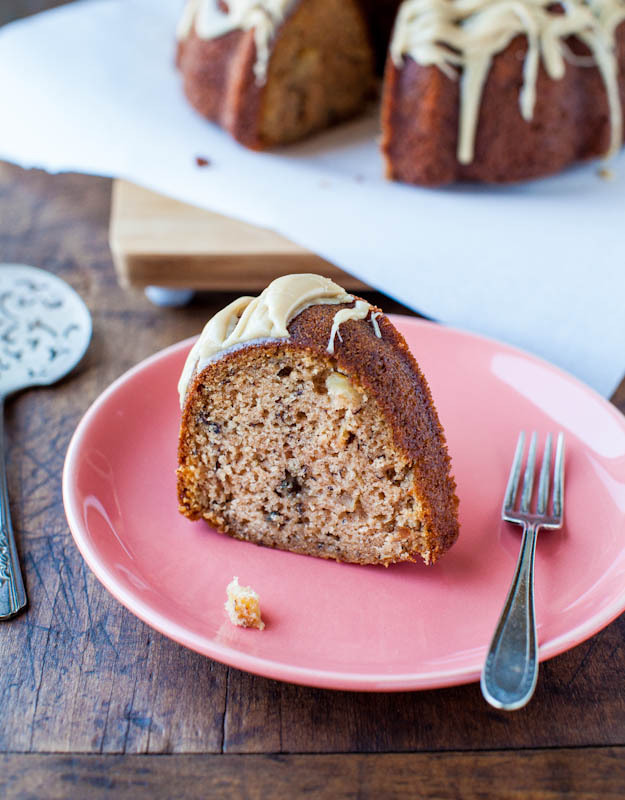 Dense, rich, sweet, moist, and everything I could wish for in a cake. For better or worse depending on how you look at it, I live about 2763 miles from that grocery store and it’s been nearly a decade since I’ve had a slice of their yogurt cake, but I still think of it fondly. 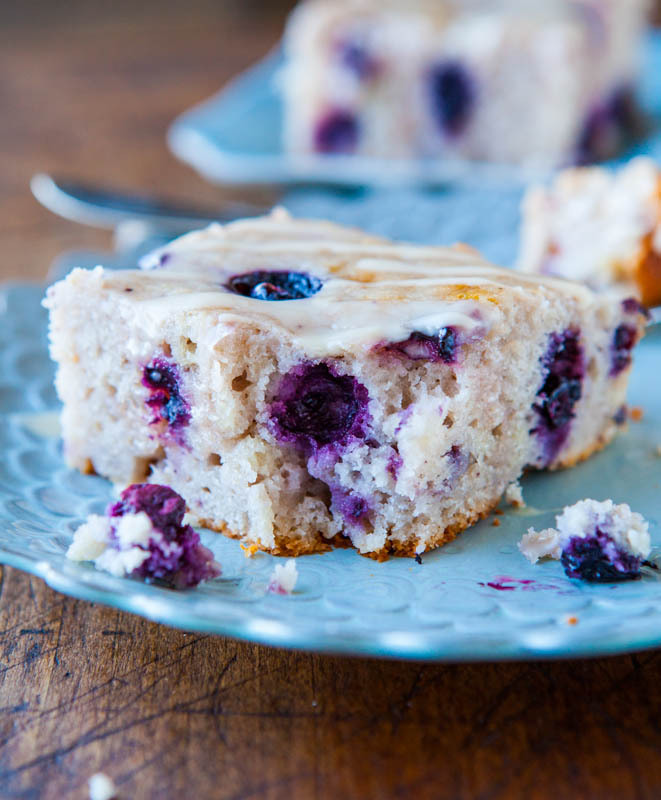 When I saw blueberries in my freezer and blueberry Greek yogurt in the refrigerator, I knew homemade yogurt cake had to happen. Like the other cakes I’ve been making recently, this is a one-bowl, mix-by-hand special that comes together in about 73 seconds flat with just a whisk. Beat two eggs, sugar, yogurt, oil, and vanilla. 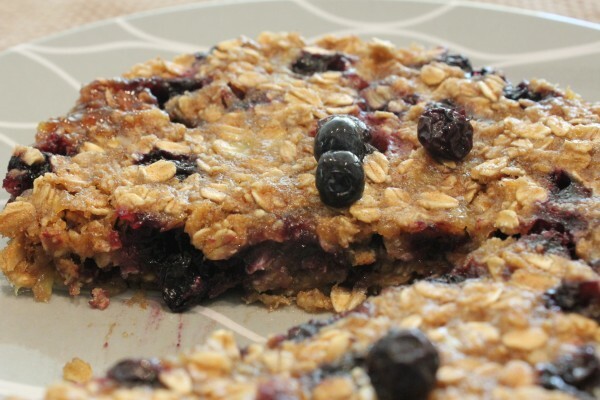 Add the flour and baking powder, fold in the blueberries, and bake. Fast and easy cakes are what I live for. I prefer modest-sized ones, too, and this one is just a 9-by-9-inch cake but you may double the recipe and bake it in a 9-by-13-inch pan if you’re feeding a bigger brood than I am or have a longer attention span for larger sized cakes. The cake turned out perfectly moist from both the yogurt and the oil. I was tempted to use melted butter in this cake for added flavor because I love the flavor of butter. However, oil makes cakes softer and moister than using butter and oil won. A moist cake trumps all. To give the yogurt cake lift and enable it to rise properly and not be too dense and weighed down from the cup of Greek yogurt, I used baking powder as the leavener. I generally avoid using baking powder and instead try to use baking soda whenever possible. Baking powder is comprised of baking soda, cornstarch, and acid salts, such as sodium aluminum sulfate or cream of tartar. I am very sensitive to the bitter taste of the acid salts and can usually taste mere traces of baking powder when it’s present. Plus, baking powder can cause the crumb to turn dry and coarse if used in excess. 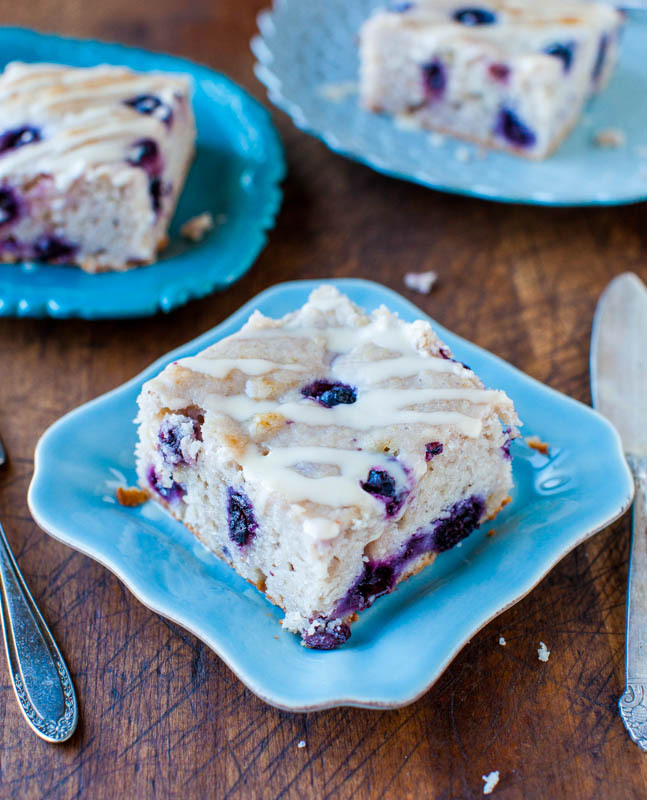 However, through the magical moistening properties of oil, yogurt, and the juices from the blueberries that are released while baking, the cake rose perfectly, while remaining moist and some of the density I desire in a yogurt cake was retained. Sometimes the simplest things taste the best and I made a simple glaze with the juice of half of a fresh lemon, confectioners’ sugar, vanilla, and whisked them together. The glaze made my mouth pucker from the intense pop of lemon but it wasn’t too tart because the confectioners’ sugar balanced the lemon juice. 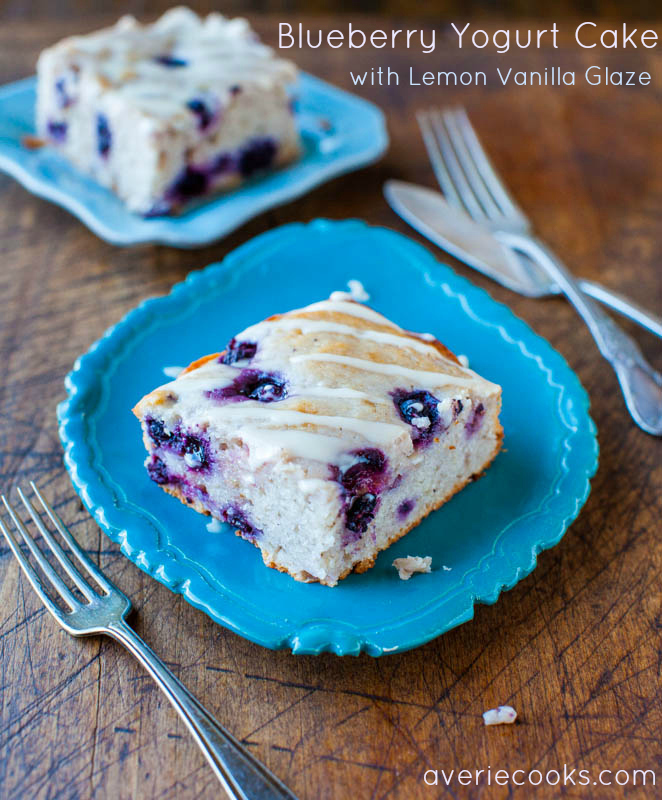 Plus lemon and blueberries pair together splendidly and incorporating a teaspoon or two of lemon zest into the cake batter is a way to bolster the lemon flavor even more if you like to pucker up. I wasn’t sure if Scott and Skylar were going to like the lemon glaze and lemon is a flavor, like peppermint, that once it’s added, it’s unmistakeable and can’t be undone. But I had forgotten that Scott really loves lemon in things and Skylar kept smacking her little lips, too. The cake reminded me so much of the storebought yogurt cakes I used to purchase, but the major difference between my cake and those is that I used a drizzle approach for the glaze whereas bakeries pour cup-fulls of glaze over the cake, let it dry; and repeat. However, feel free to send your cake into a lemon-vanilla submersion bath rather than just a drizzle. I’d love to drink the bathwater. 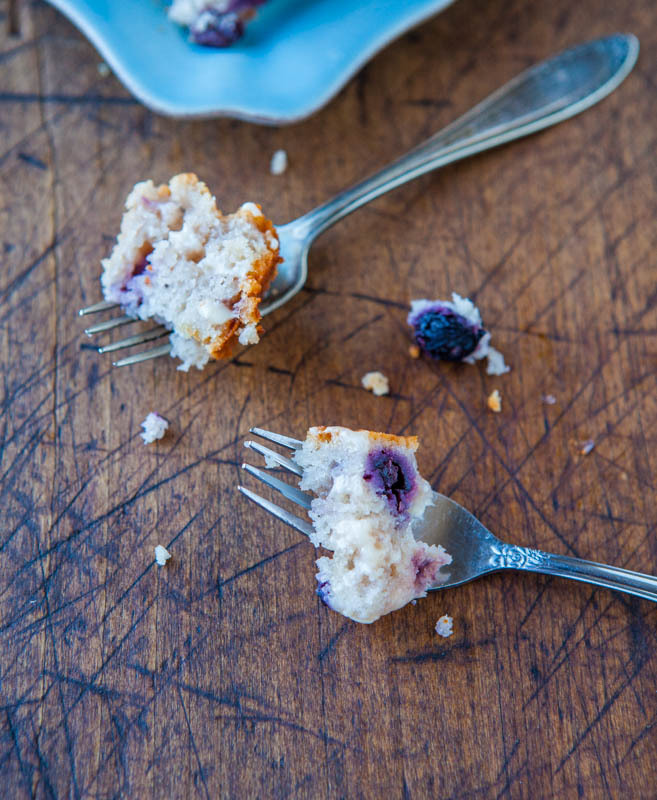 I couldn’t resist picking out the blueberries that were baked into the cake’s firm yet springy interior. Blueberries are such nice little surprises bursting with sweet juice and definitely worth having a blue thumb and index finger from for a few days after all that blueberry picking. 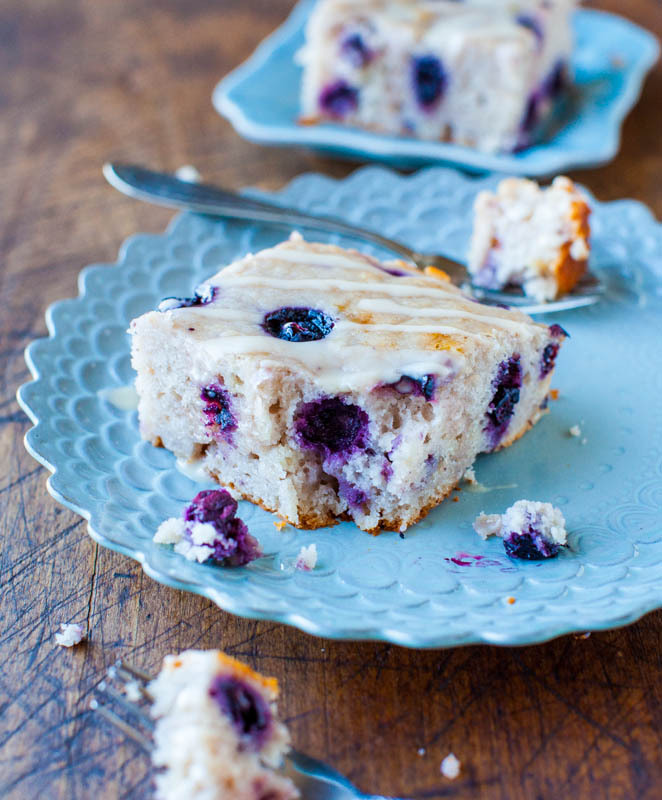 Have you ever made a yogurt cake? Do you bake with yogurt or sour cream? Baking with yogurt or sour cream, and cream cheese is in it’s own league, keeps baked goods soft, tender, and moist. 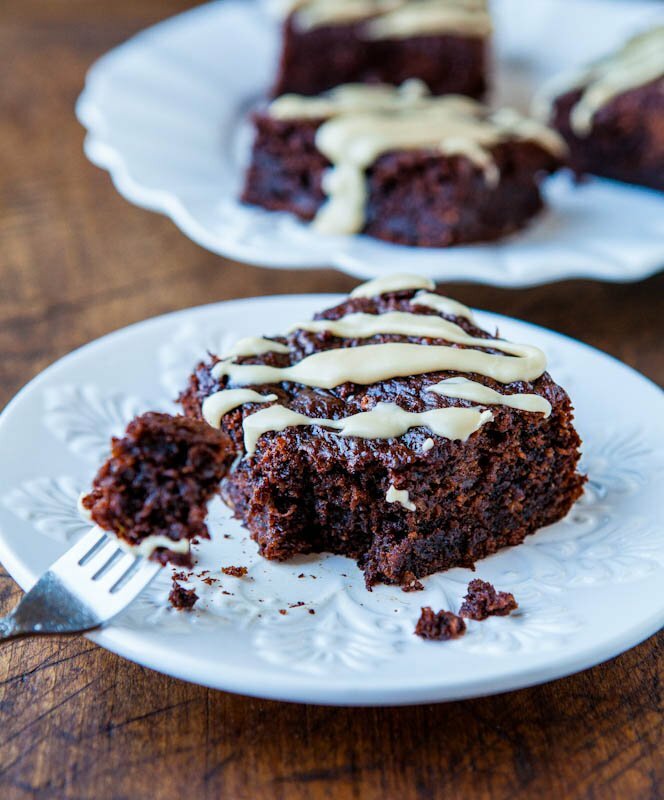 Nothing is worse than dried out desserts and I’d rather have none than have a piece of dry cake, which is why I always add at least a dollop, and usually much more, yogurt or sour cream to any muffins, cake, cupcakes, or bread I make. 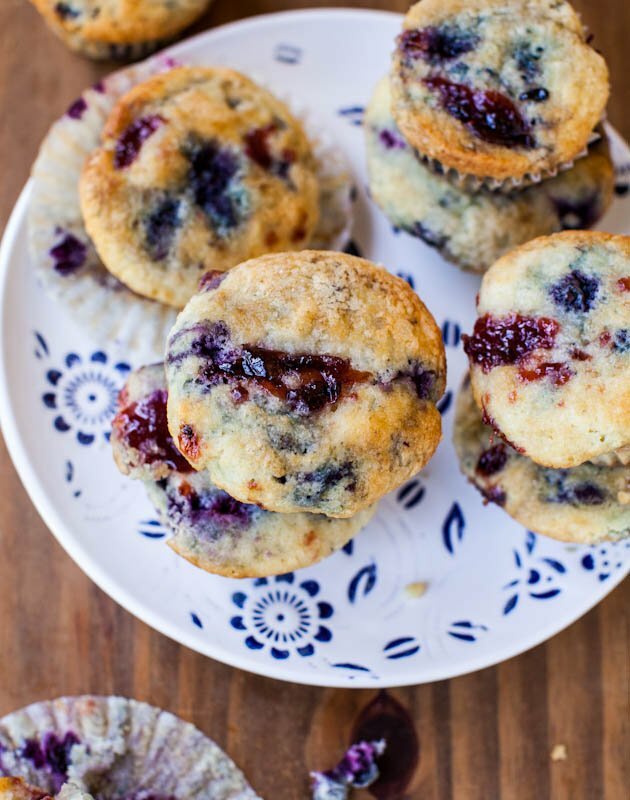 Feel free to share your recipes for soft, moist, tender cakes, muffins, cupcakes and breads and what you do to get them that way. Have a great weekend and stay tuned for a couple great giveaways this weekend! hi! could i use plain greek yogurt for this recipe instead? thank you! Yes but you may want to taste the batter to make sure it’s sweet enough since plain yogurt has no sugar and if not, add a bit more sugar to your batter. Oh no..? I followed the recipe as written and my cake didn’t become nice and crumbly/fluffy but is very dense and wet.. Baked for 45 min but still too wet /dense. Any idea what I did wrong? It was supposed to be served as a coffee cake. Well too bad, nice taste though ? Could have been the yogurt you used. If it was watery, it would make the batter too wet/loose. Could have been your baking powder wasn’t perfectly fresh and that can effect the lightness of cakes, or the flour itself. I recommend King Arthur All-Purpose flour. Not sure what happened exactly but thanks for trying the recipe. The cake is delicious! I love everything about it. The last time I made it, I didn’t realize I had used all my blueberries (I could have sworn I had another half gallon of them in the freezer!) and was forced to use the fresh peaches I did have (it was either that or just bake it as a plain yogurt cake) It was wonderful! I did add 1/2 teaspoon of cinnamon and sprinkled the top lightly with a cinnamon sugar combo prior to putting it in the oven, instead of the lemon glaze. So good! Amazing how a missing ingredient forces you to get creative ? Thanks for trying the recipe and I’m glad it came out great for you with the peaches! Cinnamon sugar and peaches are a heavenly combo! If you still have extra peaches https://www.averiecooks.com/2016/07/cinnamon-sugar-saucy-peach-cobbler.html sounds really close to what you made and the flavors are great! Pics don’t do it justice! That does sound yummy, so does your raspberry peach crisp. 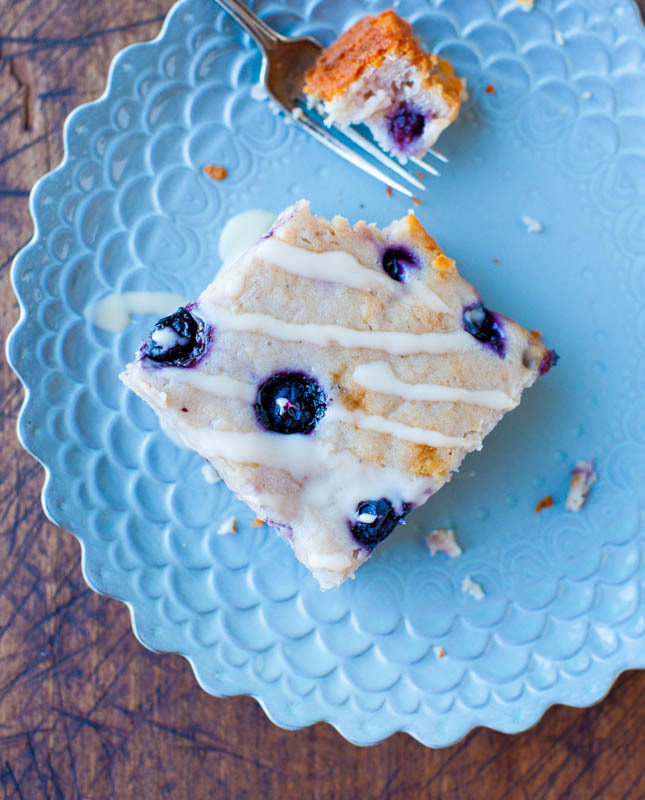 I do prefer the yogurt cake with blueberries, or maybe a combo of blueberries and peaches now that I have established it works with peaches and the juice from the peaches doesn’t add too much liquid (at least this once it didn’t – I may have just been very lucky). One reason I don’t bake much with peaches is due to the juiciness as they ripen, but your cobbler sounds awesome. I’ll have to give that a try, maybe with some frozen vanilla yogurt instead of ice cream. I make my own Greek yogurt, a gallon of milk at a time which yields a little over 2 quarts of strained yogurt, so I use it a lot in baking and on baked potatoes, etc. and definitely froyo of all flavors ? If it’s possible, I think I just gained 3 pounds looking through your recipes. Not only will I follow you, but whither goest your recipes, so goest I. 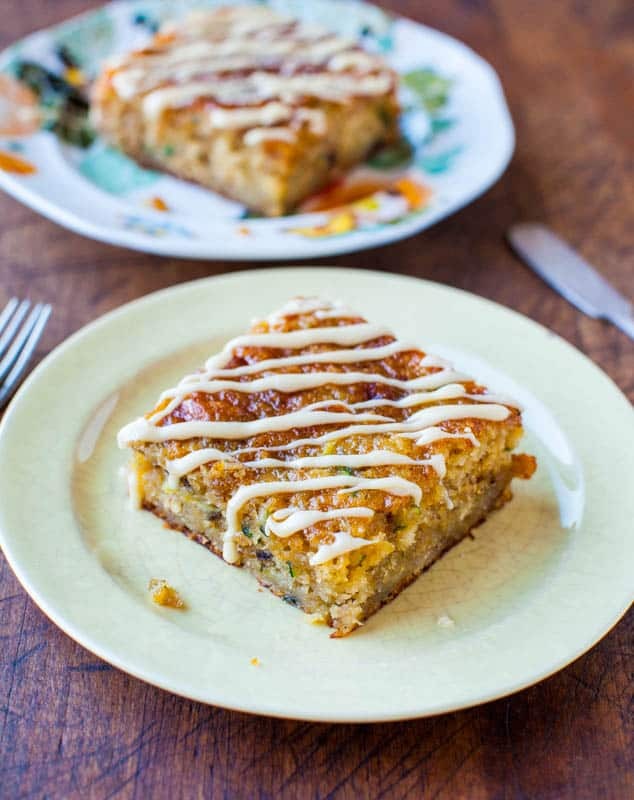 These are some great looking recipes, and the next time I can get my precious half to go grocery shopping I’m sure you know what’s going to be on my list. Thanks so much for putting all that effort into creating these recipes and sharing them. Keep up the delicious work. Thanks for the compliments and hope you can start baking some recipes! Gorgeous recipe thankyou sooo much ⭐️⭐️⭐️⭐️⭐️ P.S i used mulberries which were in season ? 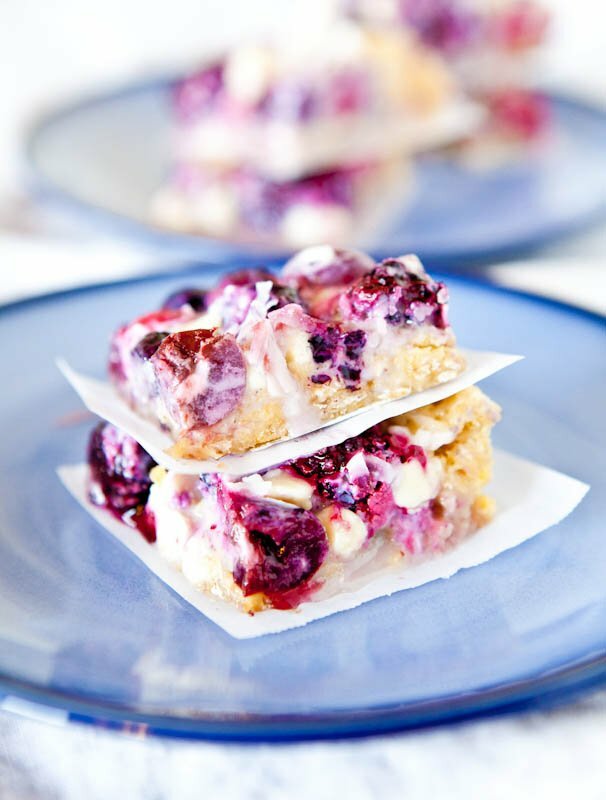 Thanks for trying the recipe and I’m glad it came out great for you with the mulberries! I have made this cake several times and just love it! Tonight I didn’t have blueberries so I used canned peaches. OMG, if possible, it’s even better with peaches. I use plain Greek yogurt and lower the oil to 3/8 cup, adding some milk to make up the difference. I have also substituted half or all of the sugar with granulated Splenda and it worked out great. Thank you so much for sharing this wonderful cake recipe! This is great to know that it’s almost better with peaches! And that you could even get away with using granulated Splenda! Great to hear! I always love all of your recipes! Just wondering if I should change anything to this recipe to bake in a loaf pan. Thanks!! I have not tried baking this in a loaf pan so I can’t give too many specifics or details. Good luck and enjoy. Yes but you can add a pinch or two if you prefer. Could almond flour be substituted? No it will not work is my strong hunch.